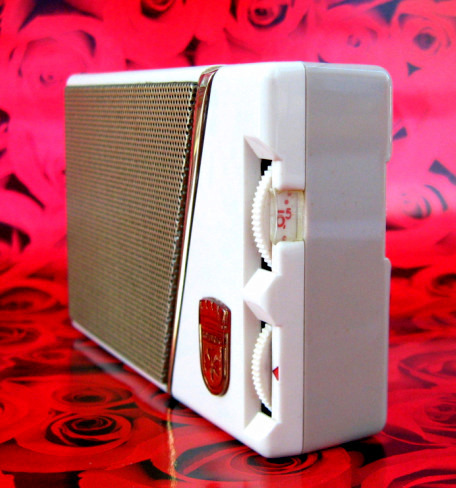 At the time of its release in 1960 this Mini-Boy Transistor 200 was the smallest radio yet released by prolific West German manufacturer Grundig Werke. It is as small as similar sets manufactured in Japan during this time and measures just 4 x 2½ x 1". Between 1945 and 1960 Grundig released about 1000 different radio models. The history of the company began in 1930 when Max Grundig opened a radio store named Fuerth, Grundig & Wurzer (RVF) in the town of Fuerth (Fürth). After WWII Germany was under strict Allied control and in ruins. Manufacturing plants and factories were destroyed as part of "industrial disarmament" plans, designed to reduce German economic might and to destroy Germany's capability to wage war. With many radios destroyed during the war the demand for repair work was very high and Max Grundig took advantage of this, expanding rapidly and moving his business into enlarged premises. 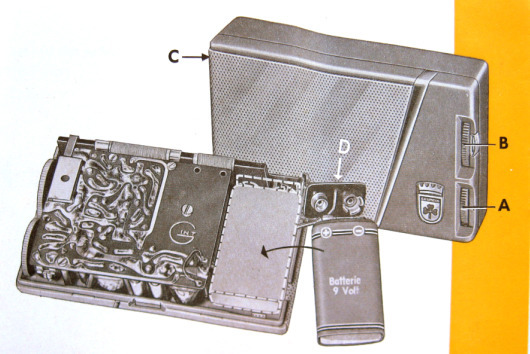 In 1947, with 45 employees, Grundig produced the do-it-yourself radio kit "Heinzelmann." 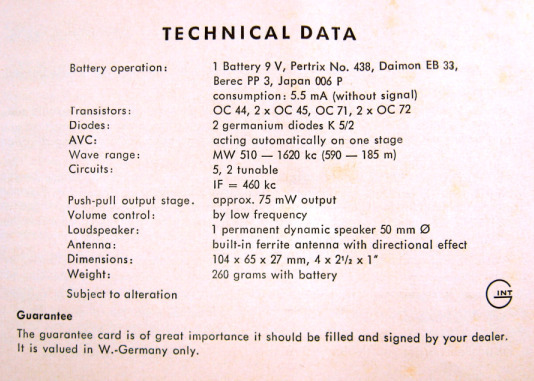 This simple single-circuit receiver was freely available in the otherwise highly rationed consumer goods market of postwar Germany and it became an instant success. Once again Grundig quickly expanded his business in order to meet the huge demand for radio receivers. In 1948 Max Grundig founded Grundig Werke GmbH. The company soon employed 650 people and new production facilities and research labs were built. In the 1950s the Grundig's growth was breathtaking. Grundig became Europe's largest radio manufacturer in 1952, the world's largest producer of tape recorders in 1955, and the world's largest manufacturer of radiograms in 1956. 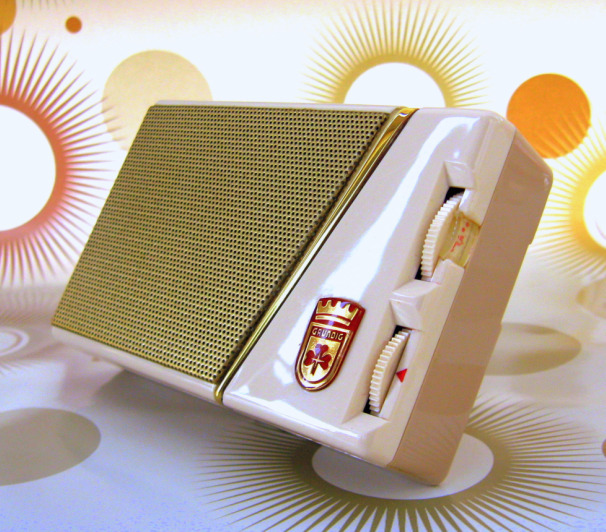 In 1956/57 Grundig produced its first hybrid radio using both tubes and transistors, the aptly named 'Transistor Boy L'. 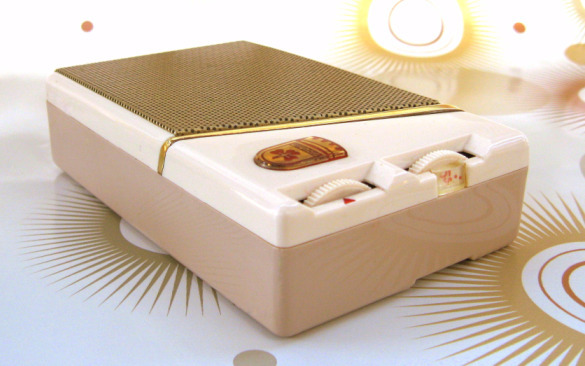 In 1958 Grundig released what I believe is probably their first true transistor radio; the 'Transistor Boy 58' used 6 transistors and was of similar size to the Zenith Royal 500. By 1959 Grundig employed a work force of 26,000. Today Grundig is under Turkish control and has diverse interests in Mobile Phones, LCD and 3D Televisions, Personal Hi-Fi and Audio Equipment. 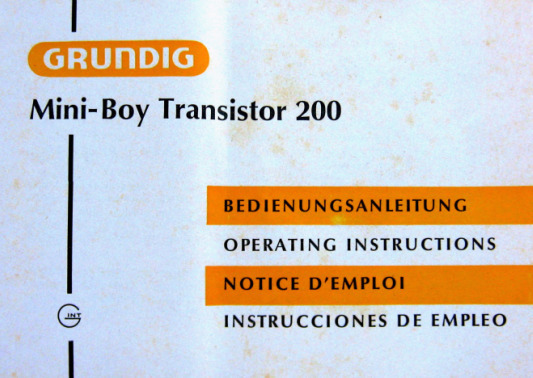 Although it was manufactured in West Germany this Mini-Boy 200 came to me from San Antonio Texas in the USA. Grundig was selling radios in America from at least 1954 through its American sales division known as 'Grundig Majestic' (Majestic International Sales Corp). 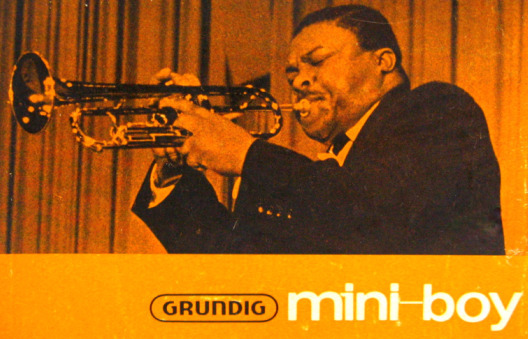 In the early 1960's Grundig advertised in Life magazine, Ebony and Billboard amongst others. Grundig stated that their radios were "enjoyed by millions and available in 128 countries throughout the world". 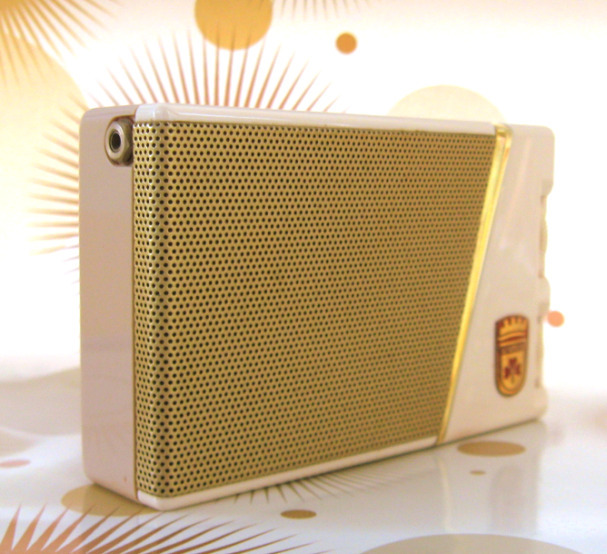 This Mini-Boy 200 has a two tone beige and white cabinet and a gold metal speaker grill. 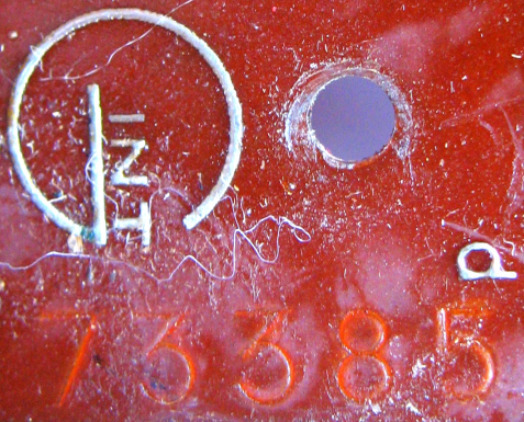 The tuning dial is visible through a clear section of plastic on the side and can be operated from either the front or back of the radio. The coin slot is located on top of the radio. It has a hinged brass stand on the back for 'lounging'. The front of the cabinet is cut on a diagonal by a bold brass band. 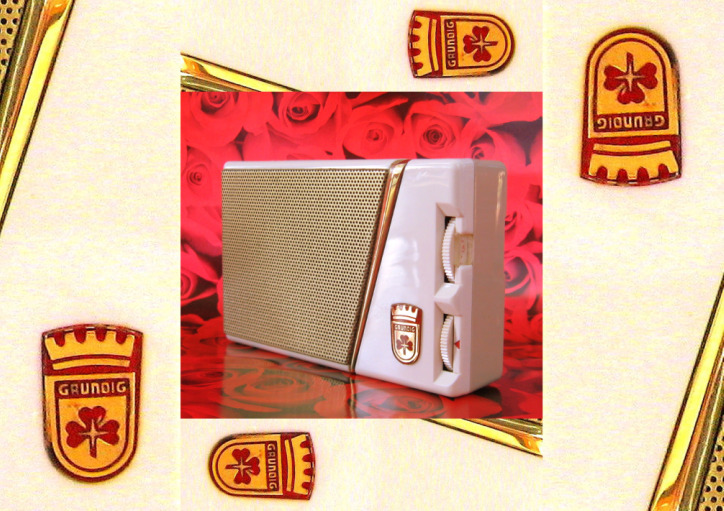 To the right of this band is the famous Grundig badge consisting of a gold crown above a red cloverleaf on a gold shield. This logo is synonymous with Fuerth (Fürth), the West German town where Max Grundig started his radio empire. The Fuerth coat of arms depicts a green three-leaf clover on a white background. 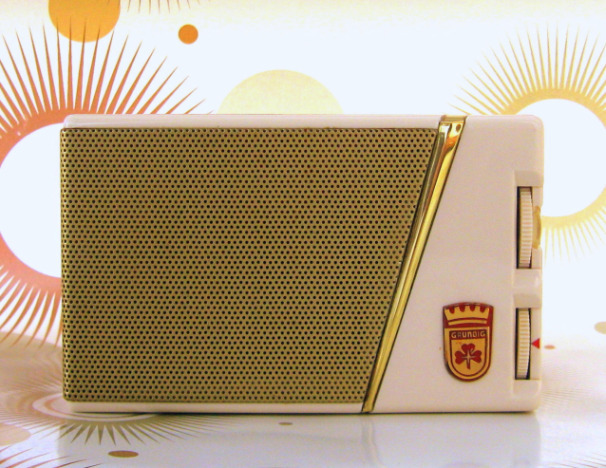 I have also seen these radios colored red and black with painted speaker grills. 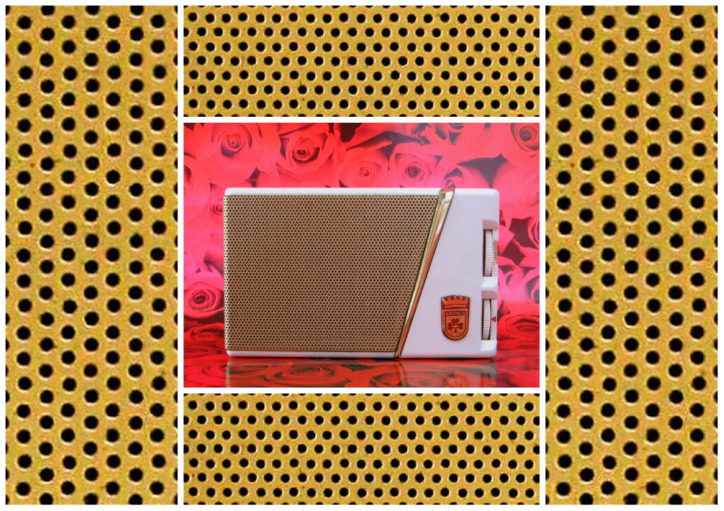 The Mini-Boy series is made up of eight radios that I know of. The first Mini-Boy was released in 1954. It was a four tube model that measured 6.3 x 3.5 x 1.6". The second in the series was released a year later, the Mini-Boy 55 was also a four tube model that was almost identical to the first model. The Mini-Boy 200 was the third in the series. 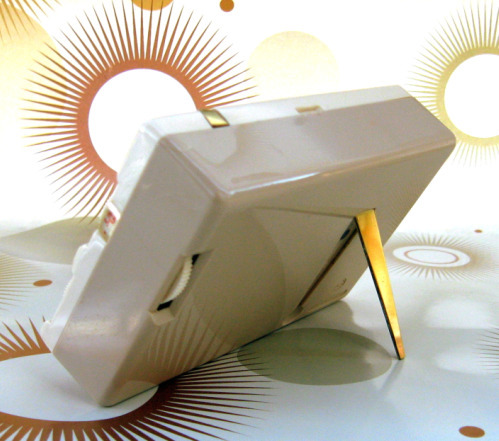 The Mini-Boy 100, 210, 300 and 400 were all released between 1970 and 1985. 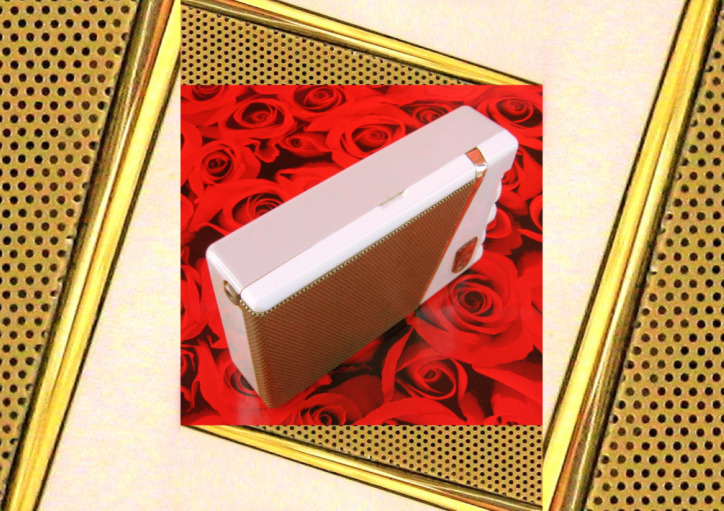 The Mini-Boy 62 is a modern radio available for purchase now. 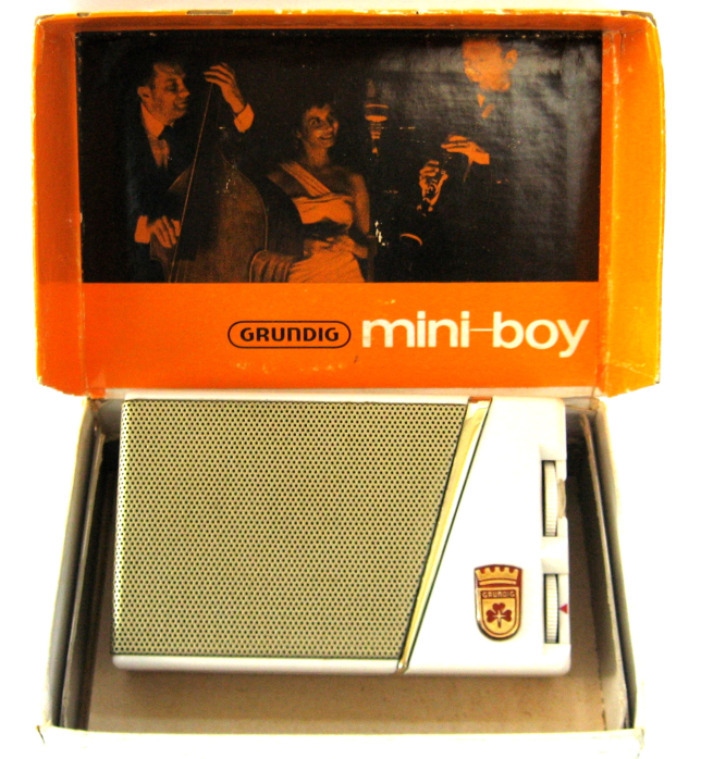 A year before the release of the Mini-Boy 200 Grundig manufactured and sold the Micro-Boy which was a horizontal shirt pocket radio of similar appearance and slightly larger dimensions. 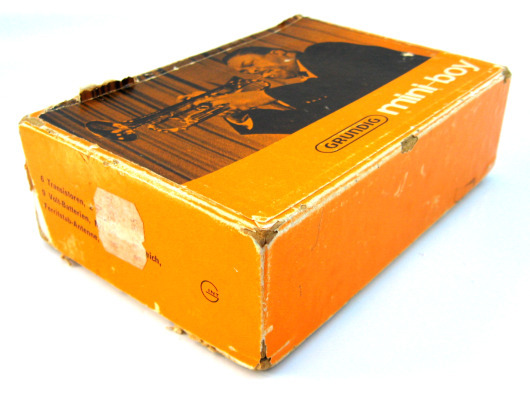 This Mini-Boy 200 comes with an orange gift box featuring cool graphics of Jazz musicians of the age. This is an unusual box and I've not seen one like it before. It also comes with an instruction book printed in four different languages. 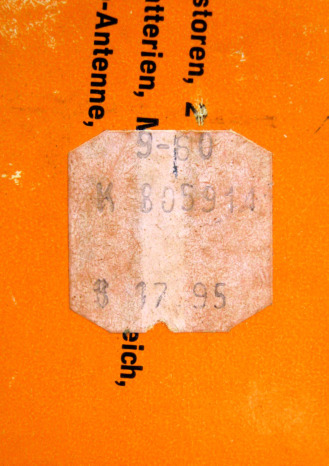 The price sticker below has what I believe is a date of 9/60 (September 1960) and the selling price appears to be $17.95. This green sticker was attached underneath the box. 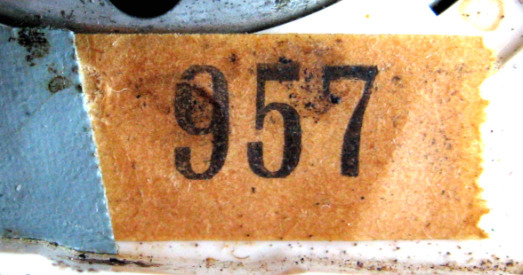 The number of '73385' is the same as the number stamped on the circuit board and it may be the radios serial number. 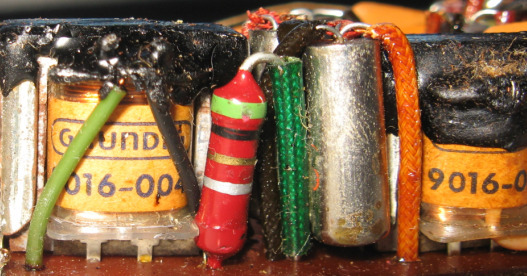 This Mini-Boy 200 makes use of six transistors. 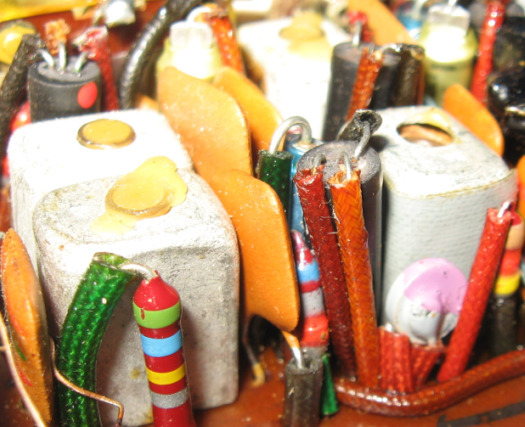 I'm not a technical guy but the transistors appear to be wired to the circuit board upside down. 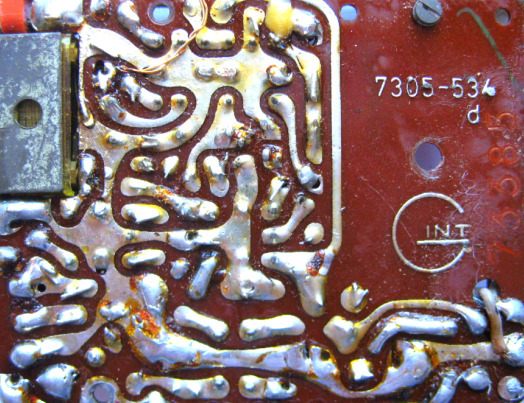 The number 73385 can be seen printed on the circuit board and is the same as the number found beneath the gift box (above). I'm not sure what significance the number 1170 has but it to can be found on the green sticker above and also on the label below. It might be a stock number. 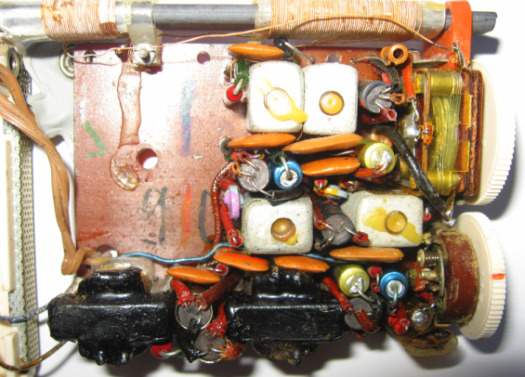 The number 957 (below) was located beneath the circuit board beside the speaker.